A stirring mix of Jazz, Latin, and Ambient styles featuring Marion Meadows. Takes listeners on a journey to watery destinations and states of being. 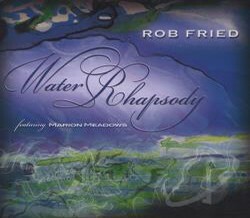 Water Rhapsody is a reminder to tap into the source of our inner strength and creativity to overcome the fear of feeling alone and unconnected to the elements that support us.